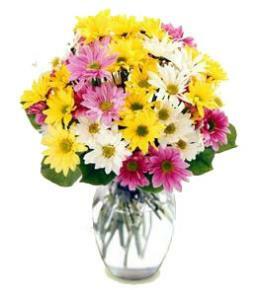 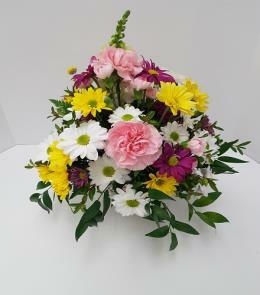 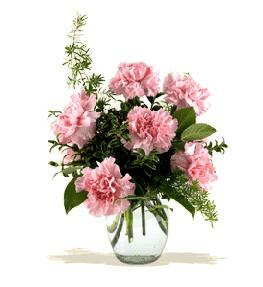 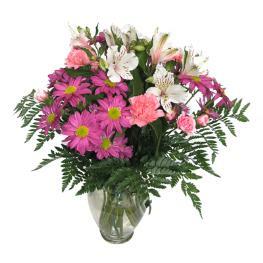 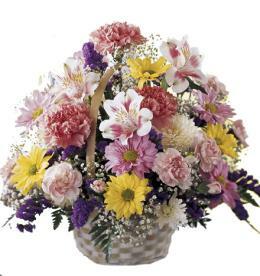 Pink roses, yellow gerberas and daisy spray chrysanthemums, dark pink alstroemeria, light yellow carnations, light pink matsumoto asters and miniature carnations are a mere sampling of what's included in this dazzling gift. 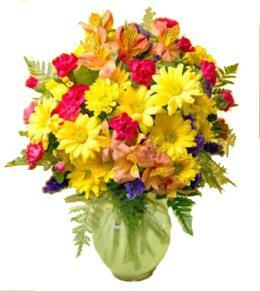 When you add the stylish glass vase and super happy helium balloon, this gift will surely rise above all expectations!. 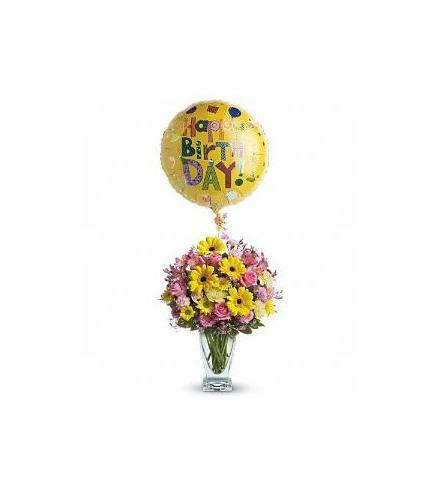 Birthday Balloons and Bears - Dazzling Day Birthday Bouquet T21-1.